Leverage társasjáték - Magyarország társasjáték keresője! A társasjáték érték! A Leverage egy kiváló társasjáték, 2 játékos részére, az átlagos játékidő rövid, csak 30 perc. A társast, 10 éves kortól ajánljuk kipróbálni. A játékmenet erősen épít a rács mozgás mechanizmusra. 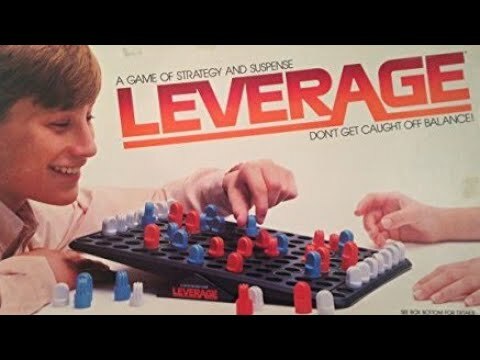 Leverage is an exciting board game of strategy with a unique action feature; it includes various weighted pieces and is built around universal laws of balance and force. Leverage has been hailed as a favorite of GAMES MAGAZINE in 4 different years. Rules and game pieces are simple and easy to understand, yet tactics and strategy can be as sophisticated and challenging as the players themselves. Two opposing strategies (speed & sacrifice vs. conservation & mass force) provide intrigue and depth, as either may be merged into the other as the game unfolds. Constant action potential -- Jump, capture, sacrifice, block; and, the players may rock the board at any time to see how the leverage advantage is changing. Suspense -- The board always stabilizes at a level position until a move is made that tilts it down to rest at one end; there is no halfway tilt! When the board tilts down, scoring pegs are removed until it returns to level. 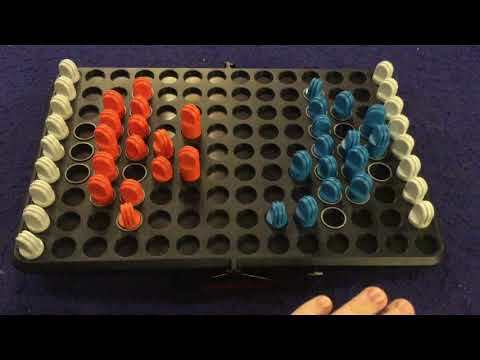 The winner is (1)the one who tilts the board down towards his opponent when the opponent has no scoring pegs left to remove, or (2)the one who moves all of his remaining playing pieces into the opposite Safety Zone while having more or an equal number of scoring pegs than his opponent. Tervező: Jack B. Slimp, Jr.
Kiadók: Milton Bradley, Newfeld Limited, Estrela, Star Game Co., Nilco S.A.